For more recommendations on where to eat in town, read our guide to restaurants in Orchard Road. 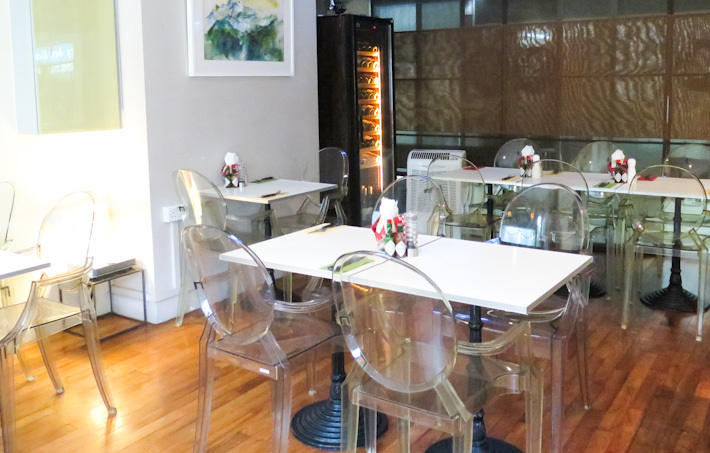 Caffe Beviamo has firmly established itself as a popular haunt with locals and expats alike. It is not difficult to understand why it is always packed. It offers affordable and well-prepared Australian-inspired food. A simple Scrambled Eggs with Toast is only S$8. If you want something more substantial, go for Pasta (S$12-18) or Pizza (S$12-14). It also has a range of tempting desserts (S$3.50-7.50), including cupcakes, carrot cake, and sticky date pudding. 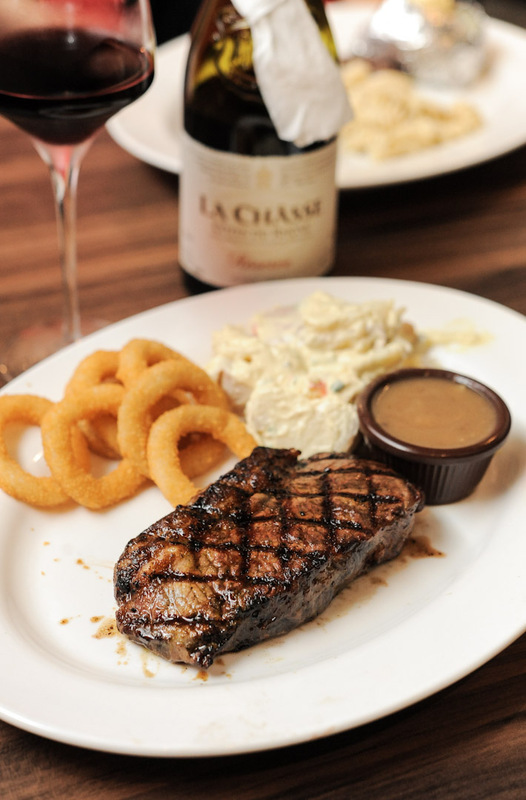 Hob Nob is one of the several under-the-radar spots we love in Orchard Road. 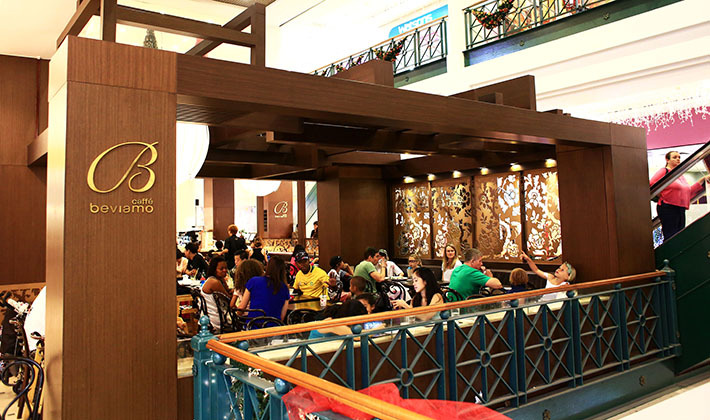 It is located on level three of Far East Shopping Mall – the one beside Wheelock, not the better-known Far East Plaza. 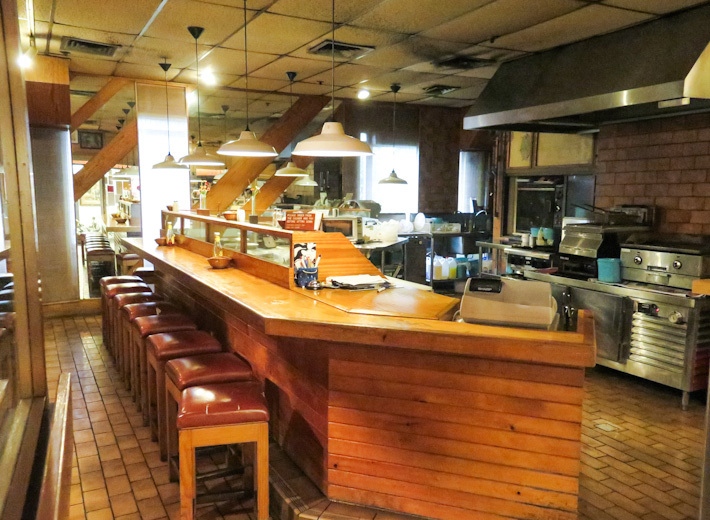 The place is small, with only 8 tables that accommodate 25 people. The food is simple, so don’t come here expecting fancy stuff. But if you want a decent meal in town without breaking the bank, Hob Nob might just become your new favourite place. Prices start from S$9.80 for a Fried Egg & Bacon Sandwich, to S$16.80 for Spaghetti Tom Yum Seafood. 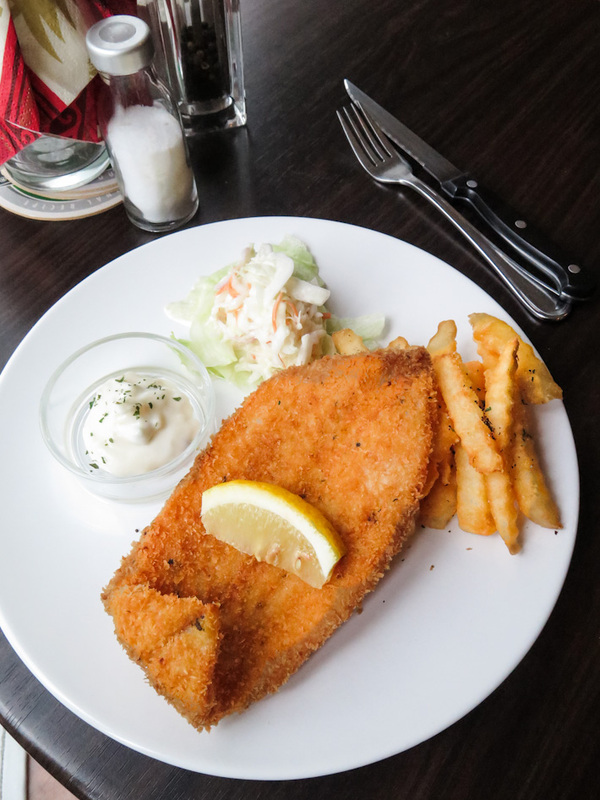 The Hob Nob Fish & Chips (S$11.80) is also worth a try. Orchard Towers might not exactly be the place you have in mind for a gathering with friends, but if you dare to venture inside, you will be rewarded with affordable and good Thai dishes at Jane Thai. This Thai eatery dishes out authentic Thai food in a ghetto surrounding. Prices range from S$7 for Pineapple Fried Rice, to S$10 for Papaya Salad, and S$12 for Tom Yum Soup. Jane Thai has also recently added Mookata to the menu. 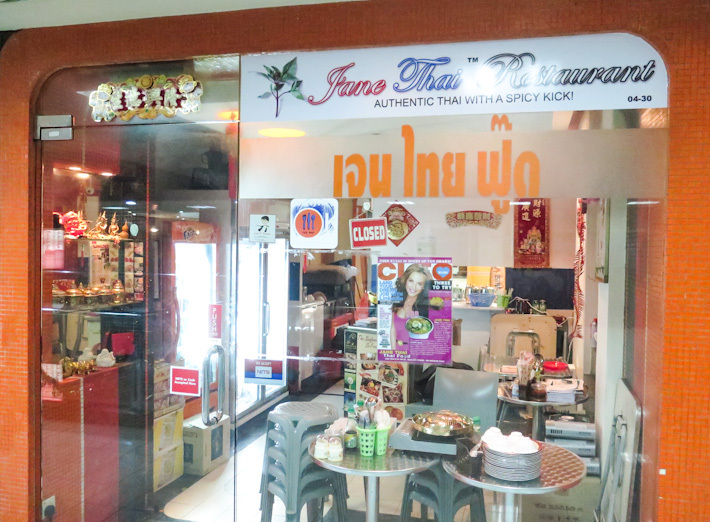 Jane Thai is listed in our guide to Singapore’s top affordable Thai restaurants. 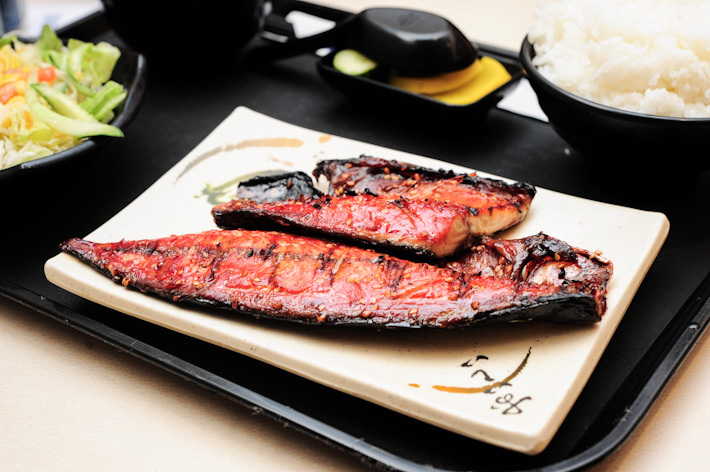 Nakajima Suisan Grilled Fish at Takashimaya’s Japanese food court is one of the places that we usually frequent when we want a quick fix in town. The prices of the set meals — choose from Salmon Teriyaki ($12.50), Gindara Teriyaki ($14.50), and Shio Saba ($7.50) — are pocket-friendly, and the food never fails us. 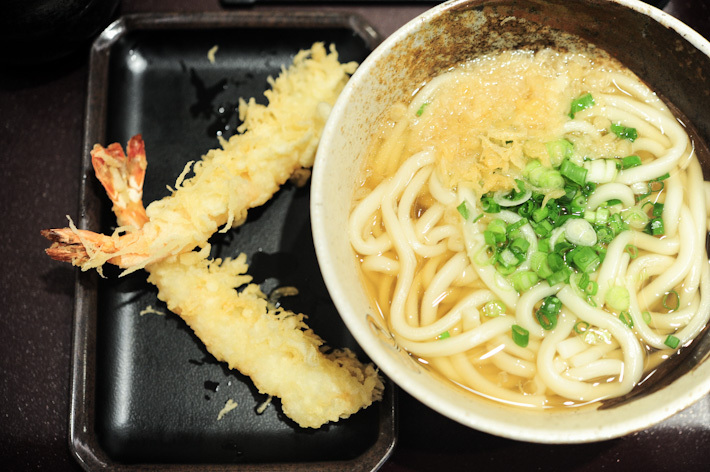 Another place at Takashimaya Japanese Food Court that we like to go to is the udon specialist, Tsuru Koshi. The udons on the menu range from the basic Kake Udon (S$6.5) to the popular Curry Udon (S$9). We had the Ebi Tempura Udon (S$9) and Niku Udon (S$9) and they were fairly decent. Add S$5 to get a set meal with Mini Soboro Don or Mini Kakiage Don. While there are plenty of salad shops in town, what makes Toss & Turn stand out is the generous portions of fresh salads and sandwiches. Expect a huge serving of greens with your favourite sides for just S$10. It has done remarkably well since opening, so don’t be surprised to see more branches around Singapore soon. 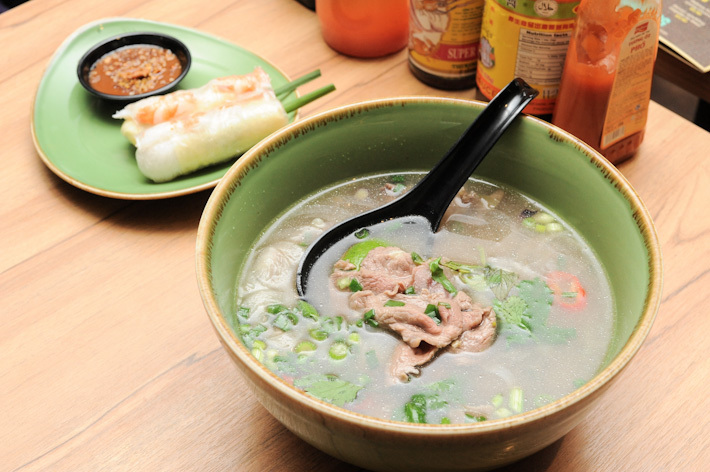 For more recommendations, read our guide to restaurants in Orchard Road. Oi walau you know what’s called budget anot? @Walau: Sure, why don’t you name me some restaurants that serve main courses for S$5? Hi there, forgive me if I missed out on any bit of information in the article, but I was wondering about the first image of that fish and chips and which place it was from? Thanks in advance. @Ross: The fish and chips is from Hob Nob Cafe & Bar. Not sure if you tried some indonesian restaurant in lucky plaza. Sure for main course they charged u below 10bucks for fried rice, and ayam penyet with their spicy sambal. How about inexpensive food not located in a mall? Any suggestions please? Thanks in advance. Are there any recommended food stall of Singaporean traditional food near Orchard? lucky plaza ( if im not wrong lv 5 or 7 or the last level) serve rly good chix rice @ $3/4 dollars super good shld try!!!!! and theres a few ayam penyet arnd the mall too super worth it! I get where you are coming from as well. But i think a better title for this post would be “value for money”. Not “budget”.